Teacher’s don’t get paid enough, but that isn’t what I’m going to talk about in this post. I have had multiple students tell me that they want to become teachers, but they don’t want to be poor. I’ve had colleagues throw their hands up and stress-laugh about accepting their “fate” to live paycheck to paycheck– perhaps because, as you well know, none of us are in this profession for the money. But the idea the educators are destined to struggle is harmful for everyone– including the education system as a whole. Teaching is a daunting enough job as it is, but couple that with the idea that you won’t make ends meet, and you’ll inevitably scare away talented and valuable teachers. Building wealth as an educator and helping other educators build their own wealth is a crucial piece to consider in fixing our broken public school system. Privilege check: while the Maryland public school system is underfunded by 3 billion dollars (about 2 million per school), I work in a higher-paying district and my gross annual income is $10,000 more than the average starting salary in the country– and $4,500 than the average in my state, according to NEA. I can’t claim to understand the struggles that come with being paid less and having more student loan debt– so my perspective is privileged and limited in this way. The salary system. Again, I won’t rant about how low teacher salaries are in general. But I do want to make a note about our salary system: we don’t negotiate our salary because we use a step system. While I like that this system ensures equal pay across gender and race, it simultaneously limits our wealth building potential. More valuable teachers (i.e. teachers who mentor students, take the lead on unpaid school-wide projects, lead professional development, etc.) are paid the same as teachers who (understandably) don’t take on work beyond the classroom. Some duties may offer a small stipend, but most go unpaid. Retirement benefits. 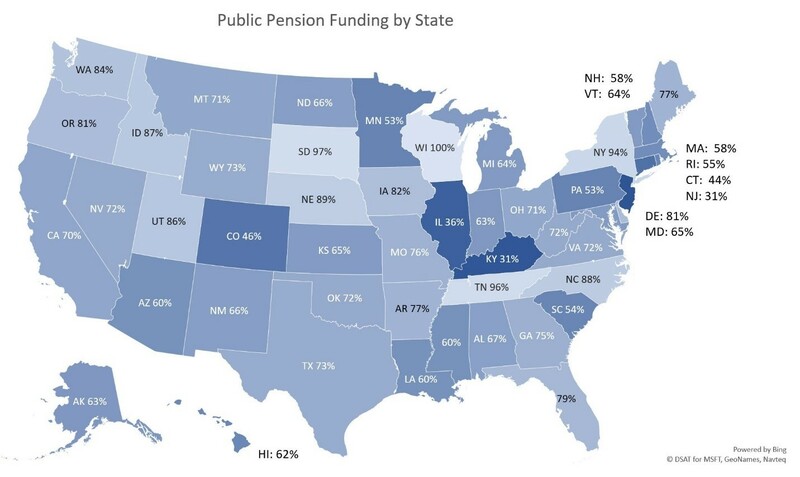 First off, do not rely on the state pension system– but more on this later. Teachers are offered retirement investing opportunities beyond our base pension, but no districts that I have come across in my research offer any contribution matching. This creates a huge gap in investment potential between teaching and other careers, and I have a serious problem with it. I think one way to change the epidemic of teachers being unable to retire, or broke in retirement, is to encourage them to invest– and the best way to do this is offer an employer match. Time. … We just don’t have much of it. We stay late and take work home as a norm, and summers are most often spent working a second job or participating in training or professional development for the upcoming school year. This makes taking on extra work or even having the energy to think about finances pretty rare and challenging for us. The 403b: It’s very similar to a 401k as another tax-deferred retirement plan. The maximum contributions are the same as the 401k (you can contribute up to $19,000 in 2019). The 457: I favor this one, and I’ll tell you why. With a 403b, you can’t take your money out tax-free until you are 59.5 years old. If you choose to retire early, then, you can only get this money by paying hefty taxes. With a 457, if you change jobs or retire early, you can access your money without penalty. The maximum contribution is the same at $19,000. I contribute a very small percentage to my 457 currently– I like having the money being taken out of my paycheck before it hits my bank account. However, I’m still in debt, so that’s where almost all of my money is going until March. Max out a Roth IRA (Individual Retirement Account). The maximum contribution for a Roth IRA in 2019 is $6,000– 12% of my income. I am favoring this over the 457 because Roth investments are taxed initially, which means you pay tax on the money as you contribute it, not on the amount it grown to. Simply put, it means more money for you. Contribute as much as possible beyond that into my 457. This will probably be around 10-20% for me– so it won’t max it out at $19,000 while my salary is still $49,000. When my salary increases to the point of maxing out my 457, I will contribute the additional amount to my 403b. In short, the Roth IRA is the best to prefer, the 457 is the next best (if you are considering leaving your job before age 59.5), and the 403b is worthwhile to invest towards if you have maxed out the others. To be clear, I am not an expert. I am trained in English and Education, not finance (yet). This information has all come from my own research, mostly on Investopedia, but it is the truth as I understand it. If you have any corrections, please let me know! I want to represent investing as accurately as possible, so fact-checking is welcome. Educators: Let’s do our personal lives and our profession proud by educating ourselves about finances. Let’s be the best possible examples for our students and every potential teacher out there. We need it and our public education system needs it. Great overview. I especially appreciate the point about how framing teachers as destined for poverty hurts everyone. Thanks for showing an example of someone who is making it work well. I also prefer the 457 option as a priority over the 403b. The one caveat is to check for fees in each. In my experience, the 457 fees are typically a bit higher depending on options and how the plan is administered. It probably isn’t a deal-breaker but if you’ve got Vanguard in 403b at .04 and your 457 options are 1.5….then it’s definitely a conversation. I look forward to reading more. Best of luck! Exactly! While there are definitely unique barriers for people like educators and janitors, it is possible for everyone. I’ve read your debt repayment posts– AWESOME work! Definitely inspiring! This is a great post. I didn’t even know about the 457 but that is also the problem in general. Thanksfully more and more people are looking to get educated themselves because no one in HR is sharing this info. My first job after teaching, they sat me down and explained everything and yelled at me when I was not contributing enough. When I think about that now, it was so unique and thank God they did. I have learned so much more. It would be great if it was taught to all new teachers or if they found easily-read posts like this one on to start building their knowledge. You’re absolutely right! We had no formal training on any of it, either. I was handed a packet at one point, but that was the extent of it! It’s kind of crazy how large of a workforce education is, and yet these basic problems seem rampant.